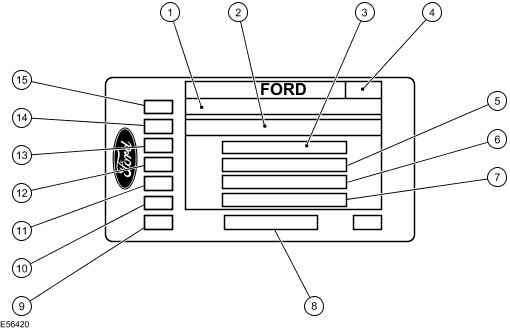 The vehicle identification number (VIN) is stamped or printed on the vehicle identification plate (VIN plate). The VIN plate is located under the hood on the right-hand side of the cowl panel. 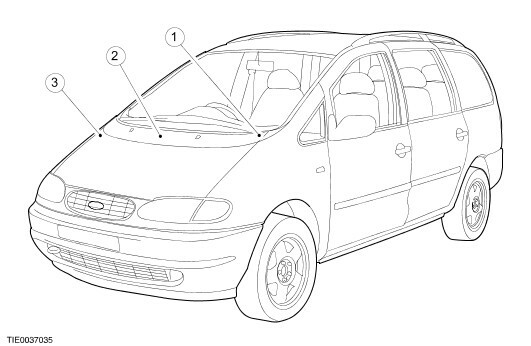 The VIN may also be viewed through the front windshield and on the vehicle bulkhead (European legal requirement). Item 1: National or whole vehicle type approval A unique code required by legislation in certain territories. 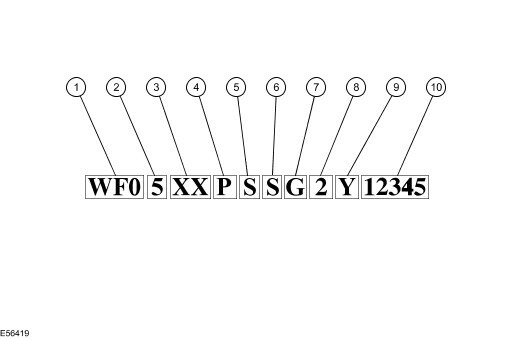 Item 2: VIN Vehicle identification number. Item 3: GVM Indicates the maximum legal mass, in territories where this is required. Item 5: GTM Indicates the maximum combined mass of vehicle and trailer or caravan. Item 6: Maximum permissible front axle mass Maximum permissible loading on the front wheels of the vehicle. Item 7: Maximum permissible rear axle mass Maximum permissible loading on the rear wheels of the vehicle. For vehicles built in continental plants, the second digit of the paint code, on the VIN label, denotes the original model year of the color’s introduction, (‘0’=color introduction in 2000 model year).